Solomon B. Zoberman is a partner in the Fort Lauderdale office of Lewis Brisbois and a member of the Intellectual Property & Technology Practice. Before joining Lewis Brisbois, Mr. Zoberman had been in private practice since 1982. 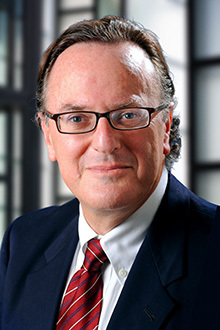 He has experience in advising closely held corporations, limited liability companies and other business entities on issues of governance, shareholder or member relations, executive compensation, employment issues, restrictive covenants and secured transactions; intellectual property with emphasis on trademark, copyright, trade secrets, and computer software development, licensing and distribution; real estate, with emphasis on commercial leasing; and mergers and acquisitions. Mr. Zoberman’s corporate clients have included British Island Airways, Broward Marine (major boatyard and yacht construction firm), Home Design International (export of building materials to former Soviet Union), International Teledata Corp. (manufacturer of remote sensing water meter equipment) Vento Software, Inc., ASCOT Technologies, Inc. Member, Board of Directors, Florence Fuller Child Development Centers, Inc.
Mr. Zoberman was recognized as one of Florida’s Super Lawyers™ as voted by his peers.